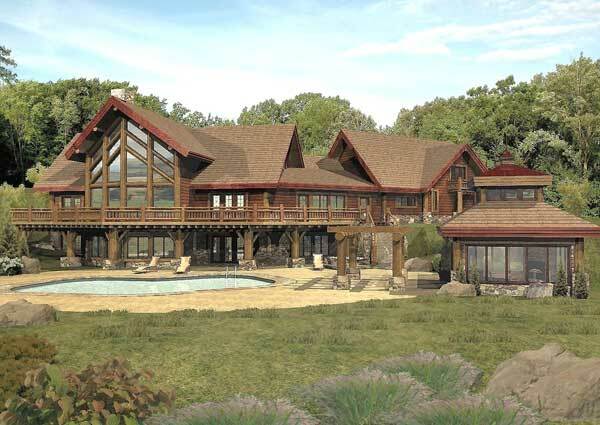 This versatile family-style lodge is ideal for entertaining with its seamless indoor and outdoor living spaces. The large chef's style kitchen was masterfully designed to blend casual and formal dining areas and is complete with a unique wine room and breathtaking window views. The lower level recreation room and adjoining billiards hall are conveniently open to the expansive outdoor patio outfitted with a pool, hot tub, pergola-topped dining area and gazebo. A secluded apartment above the garage features three bedrooms, full bath and kitchenette for guests and homeowners alike.